The controversy about the role of the Senate in Canada dates back to the very beginning of the Confederation. The lack of legitimacy of the Senators, the inability of the Upper House to be a forum where regional diversity is represented and the role of the House in the federal system have been the key issues. In 2011 S. Harper tried to introduce several reforms in the House by a unilateral constitutional amendment made by the Parliament. After the discontent showed by some provinces—mainly Quebec–, the PM asked the Supreme Court about the constitutionality of his reform plan. The SC answer was clear: all the proposed reforms, but one, needed a constitutional amendment in accordance with section 38 of the 1982 Constitution. Therefore, a wide provincial support is needed. After this ruling the conservative government dropped its reform plans and Harper decided not to nominate anymore senators. The liberals opposed Harper’s plan from the beginning and once Trudeau reached the leadership he started to put in place his own reform plans. Trudeau promised to review the role of the Senate in order to make the house less partisan and more independent by appointing independent and highly respected figures from the civil society. He promised that the provinces will have a say in the nomination of senators and that he will institute a consultation committee for the appointment process. To show his commitment he expelled the liberal senators form the party caucus, although the senators define themselves as independent-liberals. But, how will these measures be compatible with the Constitution after the Supreme Court Reference? What will be the role of the new independent senators in the Upper House under Trudeau’s administration? Will the provinces’ influence in the House be expanded? The purpose of this paper will be to analyze the impact that Trudeau’s reforms will have in the Dominion-Provincial relations, paying special attention to the case of Quebec and its role within the federation. 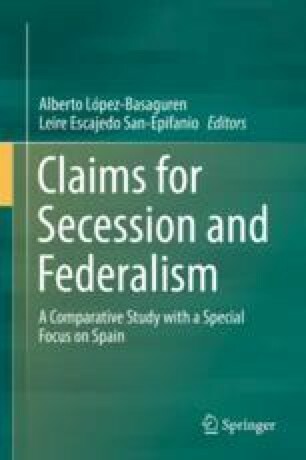 This manuscript was elaborated during a research stay at the Centro de Estudios Políticos y Constitucionales in Madrid (Spain) between September 2015 and March 2016. The final version was handed at the beginning of April 2018.